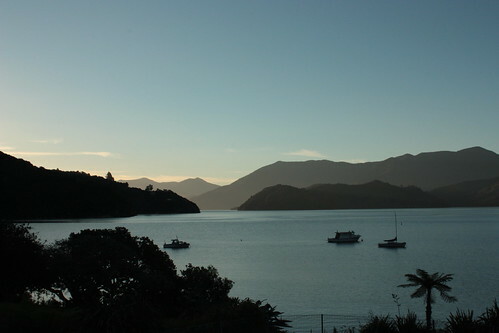 From Picton we moved on to Portage, a bay in Kenepuru Sound. 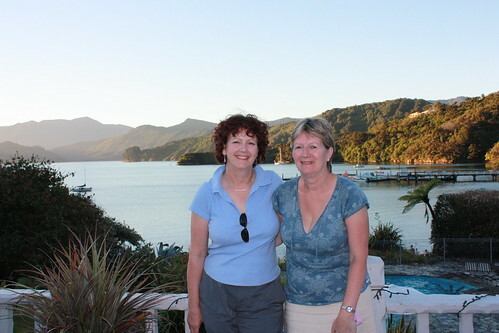 Kenepuru’s not as lively as Queen Charlotte Sound where Picton is, so we just had a nice relaxing time. 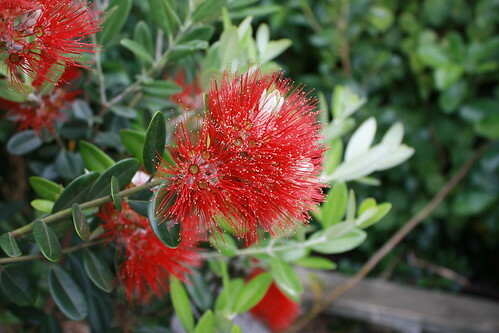 This is called Pohutakawa and it is otherwise known as New Zealand’s Christmas tree, because of the colours and the fact that it flowers around Christmas time. It’s a beautiful tree and attracts many native birds such as tui, bellbirds, waxeyes, and kereru (native wood pigeon). In the mornings we heard these birds sing their dawn chorus, which was really the most profoundly beautiful thing. 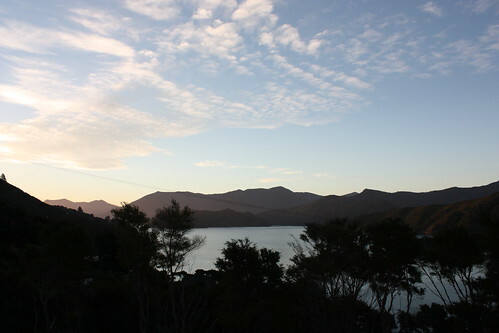 Here is a recording of the New Zealand dawn chorus I have found. Incidentally, you should watch this video of Woof Woof the talking tui: http://uk.youtube.com/watch?v=TqF33vc_q68&feature=related. 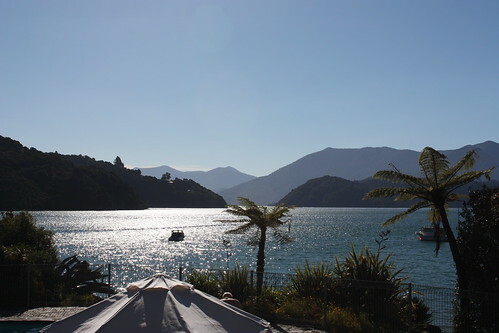 It’s pretty cool, and a good example of what a New Zealand accent sounds like! 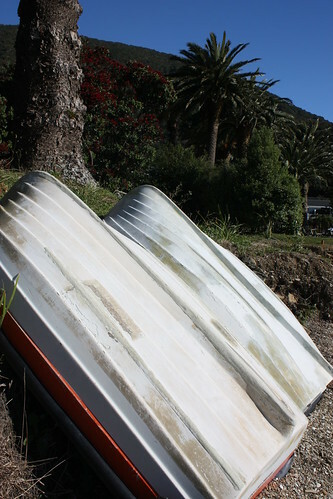 This entry was posted in Photography, Travel by Sarah. Bookmark the permalink.